Preheat oven to 450 degrees. 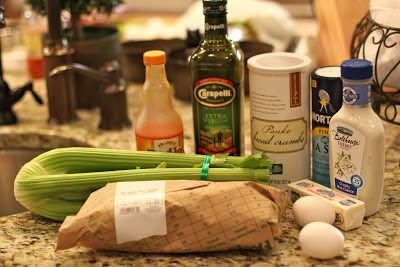 Evenly coat a large rimmed baking sheet with olive oil and set aside. 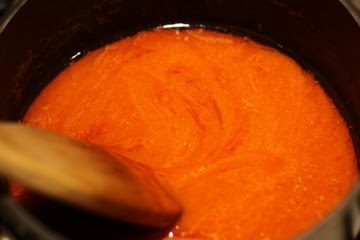 Place butter and hot sauce in a small saucepan over low heat. 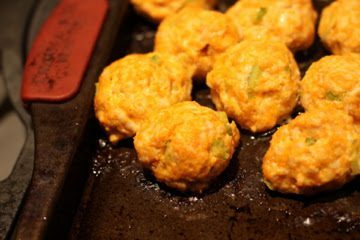 Cook, whisking, until butter is melted and hot sauce is well incorporated. Remove from heat and transfer to a large bowl; let cool to room temperature, about 10 minutes. 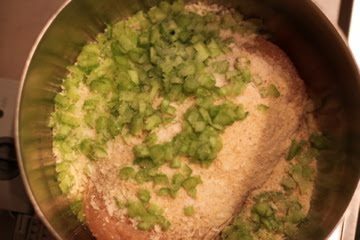 Add chicken, eggs, celery, breadcrumbs, and salt to bowl with butter mixture; using your hands, mix until well combined. 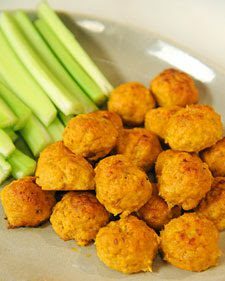 Roll chicken mixture into firm, 1-inch round balls and place on prepared baking sheet; arrange the meatballs in rows so that they are touching on all sides. Transfer to oven and bake until cooked through, about 15 minutes. Take out of oven and let stand 5 minutes before removing from baking sheet. 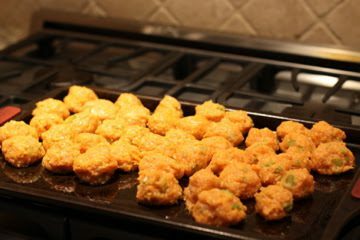 Place on a serving platter and drizzle with hot sauce; serve with dressing and celery sticks.